Dugi Otok is located close to town of Zadar in the northern part of Dalmatia, and is a wonderful, laid-back and very relaxing place to visit. It’s the perfect location if you’re after a bit of calm when visiting Croatia! Because it’s a small island, with a small population, there’s only a few choices for accommodation in Dugi Otok. However, we’re sure that you’ll find something suitable in the options below. 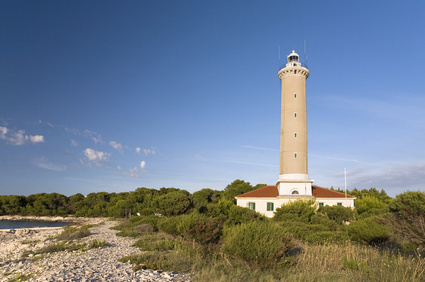 For something rather unusual and unique, why not consider staying in the lighthouse in Veli Rat? (See information in the list below.) It’s one of a handful of lighthouses in Croatia – none of which are in use for their ‘proper’ purpose – that you can stay in! For each accommodation entry, we’ve listed the location.